I found this sign at the end of Walton Well Road in Oxford, just behind my house. Beyond it lies Port Meadow. It is of course a traffic sign, I think a temporary warning for the construction traffic over the canal bridge; but it resonates for me with priorities in life. 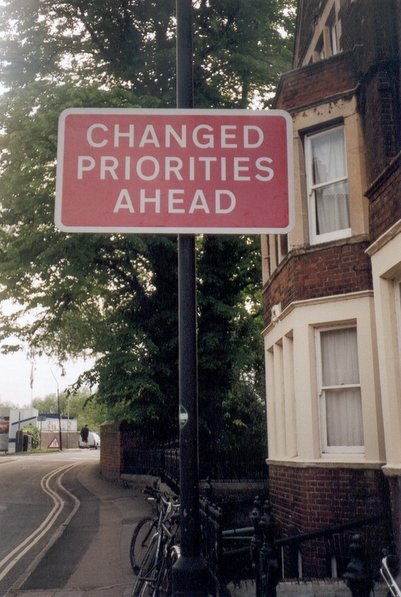 How are your priorities changing?